A recent poll shows that voters are more inclined to vote for a candidate that voted for the Federal climate change and renewable energy legislation than for those who didn’t. This is interesting in a time in which many conservative groups are advocating that climate change is a hoax and humans don’t need to intervene to save the planet. Or, that (even worse) voters just know.. they just KNOW that policies like cap and trade are just a hidden energy tax and they won’t tolerate it at the ballot box. This poll should be eye-opening to many of the Texas local and federal candidates (and it is worth noting that both of the competitive US House races in Texas are ones where the incumbent voted NO on the American Clean Energy and Security Act). Even more surprising, very few candidates campaign on clean energy in a state where energy makes a great deal of the revenue. And despite how much the governor boasts about Texas leading in renewable energy, Texas is falling behind to a couple of other states, notably California. Last month, Bill White, gubernatorial candidate, announced his energy plan and he explicitly said that clean energy (solar in particular) will be the future of Texas. Texas can remain the energy capital of the world if we lead in new energy development. That’s why we must educate Texans for high-demand, high-paying clean energy jobs, promote job growth in construction and manufacturing, and invest in science and technology research,” said Bill White in a speech in Lubbock last month. Mark Strama, who is running for re-election for his seat in the Texas House of Representatives, has been airing a campaign ad where he says “For the past hundred years, Texas has prospered as the leader of energy, but promising new energy technologies are being developed in other states and other countries.” Strama, who chairs the Technology, Economic Development & Workforce Committee, introduced a couple of green bills in the last legislative session and it looks like he will continue this effort during the forthcoming session. Yesterday, he facebooked about “a promising development” of a Bastrop clean energy park. On the Congressional level, Representative Charlie Gonzalez includes clean energy and climate change on his legislative agenda. According to his website, in order to “address threats faced to our country and our planet by climate change, America needs an energy policy that relies on resources that are both clean and efficient.” Gonzalez points out that the issue of climate change is tied to the nation’s energy policy. * Public Citizen does not endorse any political candidate and/or party. Nothing in this opinion blog ought to be construed as an endorsement of any kind. The author’s words are his own. If you didn’t think the Governor race in Texas can get any crazier, you were mistaken. Texans for Public Justice released a report today which shows the Governor receives contributions from his political appointees. (This we knew, but in these amounts?) According to the report, Perry’s campaign has received more than 17 million dollars in contributions from his appointees and their spouses since 2001. 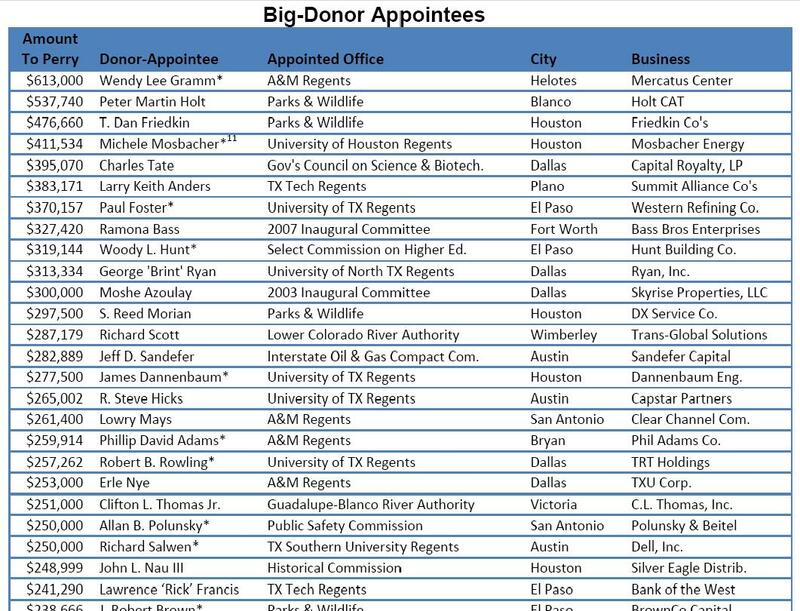 These contributions come from entities like the A&M Board of Regents to the Texas Tax Reform Commission. Perry’s hands are in every government agency in the state. His appointees rank from commissioners of big agencies like the PUC or the TCEQ to smaller ones like the Guadalupe Blanco River Authority. The report points out that almost a quarter of his appointees have given money to his campaign fund. This is not the first time news about Perry’s shakedown of his appointees come out, in 2005, the Houston Chronicle published a story about Perry collecting 5 million dollar from his appointees. The contributions averaged about 18 thousand dollars but if you look at the chart below (From TPJ) , you can see that the governor received hundred of thousands of dollars from some appointees. This explains Perry’s fierce defense of his appointees when something bad floats to surface and it also explains how he has been the longest-serving governor in Texas. In a country that prides itself on a check-and-balance type of government, those kind of reports and numbers should be staggering to people. For fairness sake, many would say Bill White is just the same, he also receives contributions from his political appointees. According a Texas Tribune article, they are right, but the scale is entirely different. Since White started being in public life in the 90’s, he has collected about 2 million dollars. This is on a much lower scale than the 17 million dollars Perry received in less than ten years, and the fact that this 17 million represents between one-quarter to one-fifth of the money raised by Perry. It is dangerous to our state that our governor is banking on the shaping of policy in Texas. But here in Public Citizen, we always say, “the only thing that beats organized money is organized people, ” so it is our turn to look at the facts, learn about the issues, and reject the status quo of money having an undue influence in politics. We call on all candidates for public office to support REAL reform of our campaign finance system, including bans on raising unlimited money from appointees and especially by moving to a system of public financing for all offices. Finally, energy is now moving to the center of the debate in the governor race. Bill White announced yesterday his energy plan. For a while, the democratic candidate’s position on energy was a bit blurry but yesterday White set the record straight. He is in for green energy. While the current governor has wasted state resources on fighting the EPA and the Federal government on behalf of big business, White thinks the state should focus more on green energy, especially from solar. White said that just like Texas had a good experience with wind energy in the past decade, it can exceed in the field of solar energy. 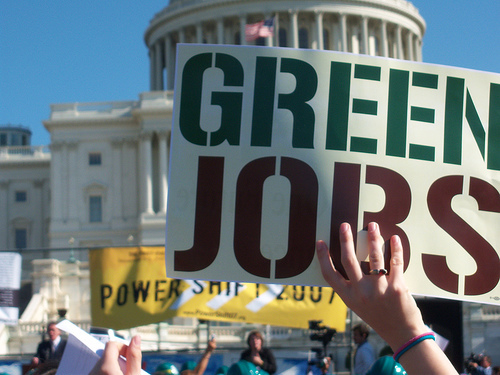 White emphasizes that green energy can create many jobs and help boost the Texas economy. The jobs can range from construction, and panel installation, research, to jobs in education and training and maintenance jobs so even in the long run, there will be jobs. Texas can remain the energy capital of the world if we lead in new energy development. That’s why we must educate Texans for high-demand, high-paying clean energy jobs, promote job growth in construction and manufacturing, and invest in science and technology research,” said Bill White, yesterday in Lubbock. We believe investing in green energy will not only enhance the quality of our environment, it will bring more money into our economy, and it will create more jobs for Texans. Sounds like we have one candidate with an energy plan. Governor Perry, yours please? Who Watches the Watchmen? YOU DO- read your Representatives’ personal financial disclosure! Did YOUR Legislator win 2nd prize in any beauty contests? Find out in their personal financial disclosures. Texas Tribune has just published their list of Texas Personal Financial Statements: 2009, in which you can search for the personal financial statements of over 3,000 Texas officials and political candidates. Why not look up your representative or senator, your favorite TCEQ commissioner, the governor, perhaps? You will be able to see the source of the paychecks they are bringing home and what investments or gifts they might have which create any impropriety. All of this is thanks to the Texas Public Information Act, under which they bravely requested all of these disclosures and then went through the arduous task of scanning and uploading them. Texas Tribune, Burnt Orange Report and the Hank Gilbert campaign are all already making issues out of information in personal financial statements of former Houston Mayor and Dem gubernatorial nominee Bill White, Governor Perry and Ag Commissioner Todd Staples, respectively. Texas Tribune doesn’t have the time to sift through all of these, so they’re asking their readers to help them out– check out what you can and if you see something, let us know and let them know. The Texas Progressive Alliance’s weekly blog roundup will reach 32 million more Americans regardless of their pre-existing conditions. Last week, TXsharon made a video statement at the EPA Public Hearing on the proposed ozone standards. Who Needs a Proctologist when you have former State Representative Rick Green running for the Texas Supreme Court? The Texas Progressive Alliance is ready for the Super Bowl this Sunday as it brings you this week’s blog highlights. CouldBeTrue of South Texas Chisme thinks that the Houston Chronicle caught the essence of the GOP with this headline ‘Many attacks, but few suggestions‘. WhosPlayin is tired of hearing obstructionist Republicans whining about not having a seat at the table for Health Care Insurance Reform, after they make it clear they’ll vote against any attempt to harm their Pharma and Insurance benefactors. Off the Kuff notes that the Texas ParentPAC has endorsed Thomas Ratliff in his GOP primary fight against uber-SBOE wingnut Don McLeroy. Bay Area Houston watched as the Texas Association of Builders got kicked in the nuts at a hearing in Austin over the abuse of mandatory binding arbitration. 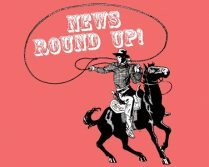 It’s been such an amazing news week in the Barnett Shale that it’s hard to pick one topic for the round-up. One item that should be of interest to anyone in the DFW area who drinks water: Argyle Disposal Well in Denton Creek Flood Plain. No kidding! It’s for real on Bluedaze: DRILLING REFORM FOR TEXAS. 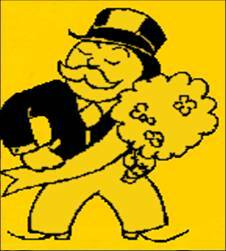 The Texas Cloverleaf looks at the taxing TAKS becoming the pretty STAAR that school children will have to shoot past in order to graduate. If you missed the GOP gov debate, check out McBlogger’s rather insightful analysis of the three players performances, along with a mercifully brief comment on the sexual desirability of Rep. Louie Gohmert. WCNews at Eye On Williamson posts on the latest Texans for Public Justice “Watching Your Assets” report, this one about the Texas Enterprise Fund, Perry’s corporate welfare not paying off for Texas. Over at TexasKaos, Libby Shaw puts a local spin on young James O’Keefe’s foiled attempt to tamper with Mary Landrieu’s phones. The roll call Texas Republican admirers is quite long. Of equal interest was the discussion that followed the outing of these Republicans. See it all at Texas Republican Lawmakers Honor James O’Keefe. It’s a travesty that only Bill White and Farouk Shami are participating in the Texas Democratic gubernatorial debate on February 8 because the other five candidates don’t meet the “standards”. PDiddie at Brains and Eggs believes it’s impossible to reconcile that KERA, a public broadcasting station, together with the Fort Worth Star-Telegram, Univision and other corporate and media industry sponsors, would conspire to preclude candidates for the state’s highest public office. Neil at Texas Liberal is glad that Houston City Councilmember Jarvis Johnson is talking about poverty in his 18th U.S. House District primary fight with incumbent Sheila Jackson Lee. However, it will take some solid ideas and not just talk to feel that Mr. Johnson is really serious about the issue. Once again it’s time for the Texas Progressive Alliance to bring you the highlights from the blogs. Xanthippas at Three Wise Men airs out some thoughts on the escalation of the war in Afghanistan, and some painful lessons learned blogging about the war in Iraq. Bay Area Houston claims The Race for Houston Mayor is Now About Race. Texas is the first state to conduct testing of citizens to determine if their health symptoms are caused from exposure to drilling toxins. But TXsharon is not sure this is such a great idea. Find out why on Bluedaze: DRILLING REFORM FOR TEXAS. BossKitty at TruthHugger sees a political disconnect between incarceration and rehabilitation within America’s “big business prison system”. Follow through and accountability are casualties of creative budgeting in the criminal justice system with furlough programs, commutations and pardons BACKLASH. Maurice Clemmons was but a single example of a mentally unstable felon. Where was his follow up? Where was his parole officer? Where was the mental health infrastructure that could have defused this violent explosion? Neil at Texas Liberal asked who are the Democrats running for Houston municipal offices in the runoff election, and who among the Democrats is someone a liberal can support. The post also features pictures and paintings of scenes of gambling as any election is little more than a spin of the wheel. CouldBeTrue of South Texas Chisme sees tea parties and general batsh*t craziness in Nueces County with Club for Growth guy leading the Republican Party. Teddy at Left of College Station covers the political maneuvering in local Republican primaries, and writes about Obama’s War: Choosing Escalation and Occupation. Left of College Station also covers the week in headlines. nytexan at Bluebloggin clearly states “I’m Sick of War.” As I listen to Obama’s speech to increase troops in Afghanistan, all I can think of is, the US has been in some kind of war my entire life. Just so you know, I was born between the Korean War and the Vietnam War. We are a war nation. No way to get around it. WCNews at Eye On Williamson posts about a conversation over Thanksgiving weekend with two Houston Republicans, or Why Bill White can win. This was Dickens on the Strand weekend in Galveston and PDiddie at Brains and Eggs took a break from politics and spent the weekend on the island. Here are a few photos from the festival. Charles of Off the Kuff spent much of the week engaged in an email debate on the Texas Tribune with conservative blogger David Benzion over the merits of Bill White as Mayor of Houston and potentially Governor of Texas. liberaltexan reports on Political Maneuvering Begins in Republican Primaries. It seems that the race for Texas State Senate District Five is gettting compicated. Check it out at TexasKaos. The Texas Cloverleaf offered it’s prediction on whether Bill White would run for Governor. 1-0! Yes! WhosPlayin thinks the Texas Railroad Commission is on a ‘power trip’, intervening in the placement of power lines bringing renewable energy to Texas population centers – ostensibly because the lines might cross over abandoned oil and gas wells, or land that might be used for oil and gas wells in the future. *** Citizen Sarah says, an excellent read!! While at Netroots Nation a few weeks back, I had the opportunity to listen in on a panel discussing climate change, Texas’ energy future, and energy security featuring Houston Mayor Bill White (you might have also heard he is running for US Senate). Mayor White gave very measured, political answers. Throughout the panel, never did the words “Cap and Trade” leave his lips, but he did remain skeptical of anyone who claimed to have it all figured out and that their answer would be easy and painless. 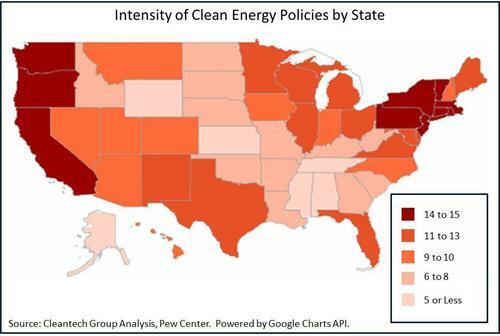 He also showed legitimate concerns about the impacts of renewable energy mandates done wrong on low-income consumers. As a representative from a consumer advocacy organization, it is refreshing to hear White’s commitment to protecting our most vulnerable even as we chart a new energy future. Cut the amount of fuel we use in vehicle travel without impinging on people’s ability to travel freely– specifically by increasing our efficiency per mile traveled. Cut the amount of energy consumed in buildings. Why drive up the cost of business by paying for electricity? Public Citizen does not and would never endorse candidates. Even if we could, it’s hard to get an exact read on Mayor White and how he would act as the next Senator from Texas on the issue of federal climate policy — so even so we could offer little endorsement other than a candid analysis of his words and his record. When asked off-camera about how he would vote on the American Clean Energy and Security Act (ACES), the climate bill which passed in the House in June and due up for debate in the Senate over the next 2-3 months, he remained committed to energy efficiency but overall rather vague. White showed skepticism as to large long term goals rather than smaller but gradually increasing cuts in emissions. His version of the bill, he said, would have strong building code mandates, a renewable energy efficiency standard (which is it, Bill?) with a price cap on renewables to protect consumers, and change dispatch priorities to wean the nation off of coal fired power. He did not, however, indicate whether or not he would support implementing a federal cap on carbon dioxide emissions or the cap and trade mechanism. This is a question likely to come up in the next few months when ACES comes to a Senate vote, and hopefully Mayor White will have a clearer answer prepared when that time comes. But if the final answer is no on ACES, would he have some specific policy solutions about how to improve the bill, or would he just cast the same “no way, never” vote that we’ll likely get from John Cornyn or Kay Bailey Hutchison? That being said, it is refreshing to hear a candidate speak so fluently about energy policy. Mayor White’s record on energy as Deputy Secretary of Energy stands on its own, as does his impressive work on making Houston a national leader on energy efficiency. We may still be uncertain as to where he stands on ACES, but we certainly know his feelings on energy efficiency both in word and deed – which is nothing to sneeze at. 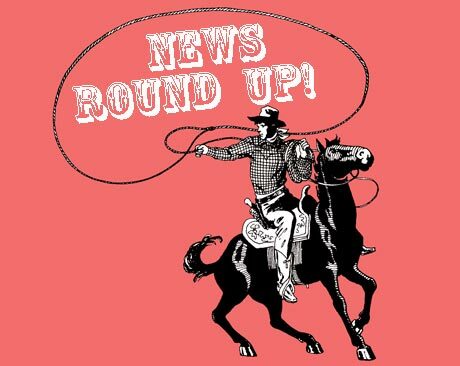 It’s Monday, the day after the first day of summer, and it’s time for another Texas Progressive Alliance blog roundup. President Obama, Bill White, and John Sharp are all in the same sinking DOMA boat. The Texas Cloverleaf comes off of hiatus to tell you why. CouldBeTrue from South Texas Chisme cheers the impeachment of Judge Kent. 4 articles passed without a single nay. Lets hope the Senate is through with him by August. Unlike Nevada Republican Senator John Ensign, Neil at Texas Liberal makes a promise he’ll keep – He’ll never cheat on his wife! Also, Neil sings the Damned’s Wait For The Blackout at the Houston Ship Channel. Off the Kuff takes a look, then a second look, at the bills Governor Perry vetoed. WCNews at Eye On Williamson knows in order to solve big problems it takes leadership, Who is willing to lead, who has enough LBJ in them?. Looks like our friends over at ReEnergize Texas have scored a couple interviews with two 2010 Senate race hopefuls, Democratic Mayor of Houston Bill White and Republican Chairman of the Texas Railroad Commissioner Michael Williams. We are not joining the throng of cable news reporters more concerned with the 2010 election than with fixing the country in the meantime. But we did score big with two interviews that could help shape the midterm US Senate race here in Texas. The US Senate race in Texas has a slightly funny story. Longtime US Senator Kay Bailey Hutchison is expected to step down and throw her hat in the ring to become the next Texas Governor. The spot she may vacate (but has not yet vacated) is already being contested by a number of potential candidates, the most notable being John Sharp and Bill White on the Democratic side, and Michael Williams and Florence Shapiro on the Republican side.